Ever wake up in the middle of the night engulfed in thoughts of fear, worry and anxiety? Questions like, “what if my IVF fails?” “what if I can’t get pregnant?” swirl in your head. We’ve all experienced times when our feelings overtake us and catastrophize our lives. Research shows that these awful thoughts don’t just make our worlds feel unsafe and unstable but also have detrimental effects on our physiology. What can be done when our chaotic minds seem to be throwing a big temper tantrum? Buffy Trupp, MFT joins us to introduce us to Mindfulness. Deep fear, grief and anxiety are common emotional responses to dealing with life’s challenges. Fertility challenges can be especially triggering. What if we were no longer enslaved by these emotions and instead able to observe, welcome and nurture them? Would that allow us to truly process them and then be rewarded with vitality, energy and emotional liberation? Buffy shows how the resistance and fighting against the emotion is what keeps us enslaved. We can embrace our feelings-yes even the BIG ones-and fully experience them and come out the other side healthier, calmer and clearer in our understanding of ourselves. Buffy talks about past clients and how mindfulness allowed them to transform deep seated pain and become pregnant. Buffy Trupp is a licensed marriage and family therapist in California and a registered clinical counselor in British Columbia. She did a master’s degree in Somatic Psychology in 2006 at the California Institute of Integral Studies, with clinical interests in mindfulness and stress reduction. She did post graduate clinical training with Dr. Alice Domar, PhD Executive Director of the Domar Center for Mind-Body Health, and the Director of Mind-Body Services at Boston IVF and Ken Farber, MA, founder of Mindfulness Behavioural Skills Training, in San Francisco. 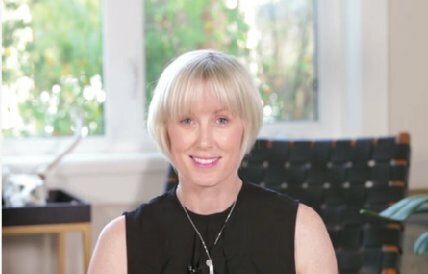 Buffy started the Mindful Fertility Project back in 2003, when she first began studying the effects of mindfulness and stress reduction techniques on women longing to have children. 4:45 Feelings-not just ideas but body based experiences-mindfulness discussed. 9:38 Mindful observation vs. catastrophizing-finding the calm. 16:04 Fear, anxiety, worry-what can we do when emotions are ruling the show? 17:52 Can we control our emotions? Trying to control our emotions creates resistance and a “locking in” effect. Here’s the solution. 21:29 Mindfulness- its positive impact on fertility and wellness. 23:42 Releasing the flood gate of grief-Michelle’s story. 28:33 Fatigue, depressed? There is a lot of energy, vitality and joy on the other side of deep emotional experiences. How to access it. 32:07 Increase of conception rates by 50%-learning how to downregulate the parasympathetic response. 35:43 Meditation research-4 direct benefits to fertility. 51:26 Hurt and fear-the true emotions behind anger. 52:47 Awakening to our deepest fear and pain in a way that doesn’t deplete us. 0:30 Charlene Lincoln: We are back and today I’m really excited. Today we have Ms. Buffy Trupp. She’s a licensed marriage and family therapist and RCC (registered clinical counselor) in British Columbia. She’s a somatic psychotherapist and founder of The Mindful Fertility Project. Buffy has been teaching mindfulness to women and couples struggling to conceive since 2006 with astonishing results. She is the author of the clinically proven Mindful Fertility Journal, a comprehensive mindfulness-based mind-body program for fertility. 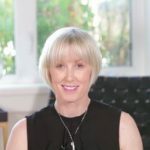 You can find out more about her and her work at www.mindfulfertilityproject.com. I highly recommend you go to her website. I spent some time there. It’s amazing – the stories, the content, everything. So, welcome. Thank so much for being on, Buffy. Buffy Trupp: Charlene, wonderful to be here. Thanks for having me. 1:37 CL: Thank you. So what led you to study the effects of mindfulness and stress reduction techniques on women who are trying to conceive. BT: A great question to start. So I was in graduate school in San Francisco studying somatic psychology, so body-oriented psychology. I was interested in how our mind shapes our physiology and potentially can affect chronic conditions or health conditions like infertility. I developed a friendship with a really incredible acupuncturist in the Bay Area and we were talking as girlfriends but also as colleagues about our work and I was both studying mindfulness within the somatic psychology paradigm, I was practicing mindfulness. Once I understood the stress response, what was happening in the physiology for women struggling to conceive, that mindfulness would be an incredibly powerful intervention while they’re in the process. So it was just through talks like this that we confirmed that the intervention would really be relevant. My friend introduced me then to the Medical Director at Laurel Fertility Care in San Francisco, Dr. Collin Smikle, reproductive endocrinologist because he wanted so much to start like a mind-body behavioral health program within his fertility clinic. We understand that working with the mind and the stress response is so crucial for a whole bunch of the conditions that create infertility, and so he wanted someone to come in in-house and work with his patients. So I did that for him, I got that job and I developed a curriculum like a mindfulness-based curriculum for him and started running 10-week classes at his fertility clinic and also seeing his patients one-on-one. Really it was from that experience, seeing the healing that happened for so many women, the pregnancies that happened as well, the success of the program, it truly just inspired my continued interest in working with women who are struggling to conceive. What happened is I left the Bay Area and now live in rural Canada. So I took the curriculum that I taught in Collin’s office and made it an online program. You could kind of click through the website, click and buy and follow along at home with a virtual program or a consult with me doing the program. 4:11 CL: That’s awesome. First thing, that medical director, kudos to him to really expand that way. Technology is amazing in the sense that you can have a global audience. This is not isolated to any one area. BT: I love technology for this. I’m having conversations right now with a woman in South America, Pakistan, certainly lots of women in the United States, Canada and Europe, yeah, but just all over the world. It’s incredible. 4:45 CL: Interesting. Tell our listeners about your approach to helping couples with fertility issues. BT: Let’s go into it here. I teach mindfulness to women and men who are struggling to conceive. I’m going to talk a little bit about what mindfulness is. But let’s start with this reality that challenges conceiving bring up intense feelings. Fear, helplessness, these are just some of them. Deep grief, sadness, anger, loss, frustration. Feelings are physiological, right? They’re not ideas. They’re body-based experiences and so how we deal with them especially when they’re intense and especially when they’re prolonged if your fertility journey is over a couple of years, how we relate and interpret them affects our physiology. One just easy example that everyone’s probably heard in the research is of the fight or flight response is getting triggered in the brain like “oh my gosh! There’s something really wrong.” The metaphor is like the bear is chasing me but this is a different sort of bear. What if I can’t become a mother? The body automatically goes into sympathetic arousal to try and flee or fight, get out of the danger. So these emotions can stimulate that response, our reality can stimulate that response and we know that just across the board that the physicians know it, Chinese medical doctors know it, that that sympathetic arousal over time creates a lot or exacerbates a lot of the conditions that create infertility, autoimmune conditions, polycystic ovarian syndrome, inflammation. We want to reduce that automatic response in the body when we’re trying to conceive. So I teach women how to train the mind and how to deal with these intense feelings that are really natural so you can optimize your fertile health. I do this by teaching mindfulness. So the definition of mindfulness is the awareness that arises when we pay attention to what’s happening currently inside of us in a nonjudgmental way. It’s a type of attitude that I teach. It’s a curious way so we’re taking judgment off of our present moment reality. It’s hard to explain. It’s a phenomenal logical process. So let me just take you on a little bit of a journey, for example. 7:31 CL: Yeah, that would be beautiful. You have to experience it to really get a sense of it. BT: To get a sense of it, right? But let’s give a typical example. So, say, Dianna is someone who might come to see me and say, and this is a made-up example but it’s a common example. So Dianna, say, is 42 years old. She’s been diagnosed with polycystic ovarian syndrome. She’s tried naturally for a couple of years and I mean “naturally” she’s seen a nutritionist. She’s really tackled the symptoms based on all the research, how to treat her specific type of polycystic ovarian syndrome. So her symptoms have reduced and she’s still not pregnant. She’s tried two cycles of IVF. She has regular acupuncture. She of course sees an RE. But she’s still not pregnant, for example. So Dianne with greater frequency in her case she wakes up early in the morning. She’s got symptoms of insomnia; she’s unable to sleep. She’s got a deep, heavy feeling in her body when she wakes up and her thoughts are just racing and going round and round, she can’t switch them off. So she’s up for three hours in the early morning exhausted after those three hours. She gets back to bed but she’s noticing with mindfulness training (this is what we do), we get clearer on what’s happening in those hours internally in the mind, in the body. 9:38 CL: That’s millions of women’s conversations in the middle of the night. I want to just say for anyone this would be challenging and for any one of us these would be the thoughts that go on, so it’s not Dianna’s fault that she’s thinking like this. This type of thinking just happens really automatically. But when we learn mindfulness, we learn to really analyze or look at this flavor of thinking, whatever our flavor of thinking is. And in Dianna’s mind, we also ask the question does this type of flavor of thinking because it’s intended to help the ways we’re thinking we want to help our anxiety, but does it actually help our anxiety? In this case, with these particular thoughts, when we really look at without judgment, become more aware that these are the ones that are cycling, this is the movie at 3 AM in our mind, It’s not helping that feeling of fear that has woken us up. But unless we practice mindfulness, unless we become more aware, we’re not really aware that we’re actively making meaning in this way. We think we’re just seeing the situation as it is like waking up at 3 AM is just as it is. It’s just terrible. So the mind’s been taught to work within this way and I just want to look at one of the things that as we become more aware and become more mindful, we get to break down those voices. So what her mind is doing at 3 AM is this. It added its own catastrophic interpretation: “this is terrible.” So I’m up at 3 AM and I’m feeling really scared. The mind says this is terrible. We’re not going to judge what the mind is doing; this is mindfulness. We just want to know what it’s doing. The voice also said there would be awful consequences. “Oh, sleeping is so bad for my fertility and I’m not going to be able to be productive at work today.” So we’ve got a catastrophic interpretation that has awful consequences. When you get to know your mind, it works as a spin doctor in this way. It projects an awful outcome on what is just a very scary feeling. We get to know that the feeling and the thought pattern mimic one another. The feelings, intense anxiety, it’s absolutely normal when you’ve been trying to conceive for a couple of years. You’ve done everything right, you’ve managed your PCOS symptoms and you’re still not pregnant. That’s normal to be very scared. We catastrophize and then we project awful consequences. That’s a feature of the mind. Then the last thing she did, she focused her attention. The feeling is fear but what she focused her attention on was that’s weak or that she was failing because she felt fear. What’s wrong with me? That sort of ubiquitous thought that we have trying to conceive. So we focus our attention on like that intense fear means “there’s something wrong with me, I shouldn’t be having this. The research says I’ve got to reduce this.” So it’s interesting because it’s the most natural thing to be sad, afraid and feeling helpless when we want something that’s not happening. The mind is doing it, it tends to help but it’s saying this is a weakness and you’re failing. Does that add to fear? We learn in mindfulness to ask that question. Does that add to that feeling of fear or does that take away? And usually that adds. It’s like, “Oh!” Not only is it natural like you’re not going to be able to not feel afraid while trying to conceive and if we shame ourselves for it, “this is bad, I’m failing.” We’re only going to feel more of it. So what I want to say again is really kind of bring this down to like the actual fear is not the problem. The fear is natural, the fear is normal. So is the hopelessness, so is the anger. And it’s normal in that you’re going to have it. So they might be intense feelings but they’re cyclical. Meaning the nature of feelings is that they pass on their own often surprisingly quickly. This is the nature of feelings. But most of us haven’t been able or never have been taught how to let their feelings take their natural course. We feel like we have to do something to get rid of them and also we’re unaware of how the mind works in relationship to the feeling like how we’ve been taught to sort of catastrophize, project, and also these questions that focus on weakness or the thing we want to get rid of. 16:04 CL: What are we doing with those very uncomfortable feelings though? So we wake up in the morning at 3 AM. As we learn and it’s just repetition, in my program we put audio meditations that teach us about what else we can do with our mind. So we wake up at 3 AM and what we do is become very aware of what’s happening in the present moment. So we get more skillful over time at saying “You know what, what’s happening right now is I feel very afraid.” You see how that’s so different than “This is terrible”? 17:52 CL: Right. You comfort that person. So we comfort. How big is the feeling? Then we can just get really aware of okay, what are the movies that are going to play about this? The projections into the future, how my husband’s family is going to think about it. These are the tapes we get and then we say “hi” to them too. We learn through mindfulness to kind of separate a little bit. It’s like those are the projections that are going to play based on the intensity of the feeling. 19:02 CL: We’re embracing the feeling. 19:31 CL: That’s the self-talk. BT: That’s the self-talk. It’s the attitude, it’s the body feeling too. When we unlatch from the thinking as reality as true – that takes skill, that’s mindfulness – to just be like, okay, how catastrophic are these projections going to be. But we’re not in them, we’re not believing them anymore. We’re just saying “Hi! I recognize you” to the thinking patterns as well. I have catastrophic thoughts because I’m having intense feeling of fear. BT: You got it. So what we realize after becoming more mindful, more aware when we do that, because we’re not judging what’s happening to us so we get more information about it, we get more awareness, we realize that the ways we’re responding to this really intense situation of “I want to have a baby and it’s not happening.” Really scary situation. Big charge, big overwhelm. The way we’re responding to that is how we’ve really kind of been taught from a young age to respond to overwhelm, vulnerability, intensity; how did mom and dad teach us around these things or what are mom and dad’s own way of dealing with their own vulnerability, their own fear, their own overwhelm. My family, it was like you don’t acknowledge those things. You get busy producing to make sure that those things don’t happen. That’s what I was taught. Overachiever extraordinaire, right? You get busy, you get smart. 21:29 CL: In a lot of families, it’s kind of a weakness. You don’t dwell in your feelings. Buck up! BT: So you get to know a lot of this programming. A lot of this comes up in this process. Oh, I do that too with deep grief or intense feelings of loss. Or say, an attempt was failed. It’s this, like, how do I manage? Again, I want to say parents generally, there’s no malintent. It wasn’t meant to be harmful or harmful to our physiology, those ways that we manage those feelings. So we’re going to take that judgment off of that too, so we can start to take responsibility for sort of that’s how I’ve been taught to deal. And ultimately if I dare take a look and I don’t judge myself for this, I realize that that’s keeping the fear deeply embodied, that’s keeping the anger deeply embodied. That’s keeping my physiology kind of like locked down. And what we’re trying to do with fertility and any time we’re trying to change symptoms, autoimmune symptoms, we’re looking for receptivity in the body, we’re looking for natural rhythms of intensity and release or like the breathing rhythms of in and out, we want the body to be flowing. Ovulation works that way. Everything works in this so the intensity of the feeling, we acknowledge it, we care-take it and it comes and goes. We don’t want to be in this lockdown; this is bad and wrong. The nervous system will stay in sympathetic arousal if we do that and that has a whole bunch of effects as we know on all of these symptoms. BT: Does that sound good? BT: And I love Michelle’s story. She was my first referral from Dr. Smikle and like I said, I was really steeped in mindfulness myself but I hadn’t used it in my work at this time. In 2006 I hadn’t worked with the fertility community specifically. So I was new which also brings a beginner’s mind. I didn’t know what to expect really. But I knew the power of releasing these emotional responses and the clarity and the relaxation and the physiology that comes along with them. So Michelle came into my office. She had been trying to conceive for two years. She was in her 30s, sort of mid to late 30s, 36-37 I believe. Unexplained infertility, tried everything, did a first round of IVF with Dr. Smikle and it failed. She got the signals that she’s the poster child for IVF and should be absolutely fine and was of course devastated. Dr. Smikle had her in my office. This was just a one-on-one session, she and her husband a couple of days after the failed IVF attempt, and I just thought in my mind because I know these principles and I know the gift of letting emotion be expressed and the relaxation response that comes along with that. So she came into my office and looked at me and was just devastated, despondent. I just looked at her and said, after we said hello, I was like, “Michelle, this is what it feels like to lose.” And she wasn’t expecting that from me. So the surprise of it and also because it was right in how she was feeling, she just erupted into just grief and tears and uncontrollable sobs in my office. And I didn’t go on to fixing that grief, I just hung on with her there. It was like the body needed to release that and I knew it because that’s how she was feeling. I was like, yeah, this is what grief feels like. Some people hit this early in their life, some people hit it midlife. Some people don’t come to it until later in life. But this is what trying and losing feels like in the body and the mind. And we don’t have to resist against it. We don’t have to get rid of it. We don’t have to be afraid of it. It doesn’t mean we don’t project into the future that this is going to be a reality forever. But right now let’s just feel it. So it was such an incredible release for her. We just stayed in the grief that session and she came out the other side. Sure enough, it was that wave like she had been holding off to feel it. She had been trying to manage it, if you will, or stay positive. I just kind of gave her permission to, like, this is happening right now so let’s feel it. So what came out in subsequent sessions of course, I think we saw each other four or five times after that, was that the history, I taught her mindfulness, she went home with the mindfulness audio CDs to become more aware of what was happening inside her and the thinking patterns that were governing this intense grief. And so what came out was she’s like, “Oh my gosh. I have been managing not just this grief but a deep grief for my entire childhood.” She described herself as always depressed, the black sheep of the family. So one of the ways I managed my feelings as a child was to just suppress them, avoid them, not feel them. What happened in that session was I just gave her full permission to be like “let’s feel this together.” Because it was a first meeting and because she was surprised by it, she kind of couldn’t hold back. It was just like “blah!” and that’s how she’s been. So anyway, what’s interesting really about the story is that six weeks later, she was pregnant naturally. She let go of all of that holding on from years past and I gave her permission and then we sorted that out in a relatively short period of time that the effects of suppressing or repressing or avoiding or holding on to feelings of sadness, feelings of loss that she had from a very young age and the consequence on the physiology, on ovulation, on inflammation. So she was pregnant six weeks later and the doctor was blown away. I was blown away. But what it did was it reaffirmed to me these principles that I know to be true and how powerful the body can respond in a relatively short period of time. 28:33 CL: Wow. When you say that you’ve had astonishing results, it’s really people being able to tap into deep emotional pain through the mindfulness and I guess getting pregnant when they’ve had issues for possibly years otherwise. BT: Right. When I say astonishing results, there was a couple of things that come to mind. First of all, I think when we focus on releasing deep emotional pain, that can feel overwhelming. You know what I mean? It’s like, “Oh God! I don’t want to do that.” It doesn’t sound fun. I don’t get the call. But what I say is that no so much releasing deep emotional pain although that can happen. I think it’s understanding the mechanism, the mind and the feeling sense, mechanisms of how we learn to avoid or numb too or project what is actually happening for us, and the liberation we feel in understanding large intense experiences, the nature of them is that they come and go if they’re not managed in this way and that they’re deeply relieving to express. There’s an immense liberation, there’s an immense insight. There’s a lot of energy on the other side of them. And there’s a deep sense of not being damaged, of being like “Oh!” A wholeness. It means I’m alive and I am doing well if I experience all these things. It’s that orientation I think and the healing that goes along with that perspective, it’s like, “Oh! I don’t have to defend against this pain anymore.” It’s not the pain that’s overwhelming actually. The pain comes, it’s intense but it goes relatively quickly. It’s the defending against it that’s life-sucking, that’s “infertile” if you will. I only use that term to just mean that it takes our vitality away. 30:57 CL: I feel like when you were talking in the beginning, it’s like you were giving an instruction manual of the mind. BT: Yeah. Mindfulness does that. 31:08 CL: We grow up, we don’t know how this thing works even though we live with it, we really don’t know how it functions. We weren’t given instructions on it and it’s extremely confusing if we’re all to learn that at a much earlier age. But most of us go through adult life and we go through some very painful periods in our life and we start searching out answers. BT: I really don’t find many people in my office that are just curious about their deep inner world. They usually are coming to me because they’re struggling with something and that’s why I think this moment in life is a massive opportunity because I know the body-mind is really responsive. That’s been my experience over years and years. And I know that usually it’s loss or struggle that gets us curious about how we’ve been taught to relate to these things. 32:07 CL: Day-to-day life becomes a little too uncomfortable and you start going, “Maybe I need to understand more.” Well that kind of leads to my next question. Why is mindfulness so important to health and fertility? You’ve touched upon it but just clarify again. BT: Yeah, absolutely. I think reducing stress, that’s one of the ways it’s talked about. I also talk about activating the parasympathetic nervous system. So we’ve got these two branches of the nervous system: The sympathetic which is this arousal system. There’s danger, what do we got to do? We got to mobilize to fight it. Then the parasympathetic is just like this receptive, digestion happens. These are all automatic systems, but the two of them don’t compete necessarily. But you go back and forth between I’ve got an interview today with Charlene. The sympathetic nervous system kicks in. Yeah, it’s like I need to be alert and aware because she’s going to ask me some complex questions. My digestion shuts down a little bit. I go up into the head, notice these things. But what we want to cultivate along with managing symptoms which is really like a thoughtful process is this parasympathetic response especially when there’s intense fear. So we want the downregulation of the nervous system to happen. Every physician, everyone knows that that downregulation is just going to be essential. If you’re changing behavior patterns like you’re learning to eat really differently. Even if you’re managing toxins in your environment, it involves a lot of behavioral change. So all of this will be easier if we’re not in parasympathetic arousal a lot of the time. Never mind when we get these bouts of real intense anxiety or fear or rage or hopeless. Parasympathetic arousal and understanding when you’re in it, you can detect it. It’s really objective, when you’re in it and when you’re not in and how to get out of it. It’s just an essential skill for every single symptom that you’re going to come across in trying to conceive like we’ve said. What are common ones? Autoimmune conditions, polycystic, metabolic symptoms. What else are we dealing with? Dealing with toxins and behavior patterns with infertility, endometriosis. Downregulating the nervous system is just an essential part of all of those interventions. Another reason it’s really important, and I love this one, is that the stats and all the research, if you manage and learn to manage well that parasympathetic response, conception rates go up across the board by over 50%. No assisted reproductive technology has those type of statistics. That’s how crucial it is. That’s why Dr. Smikle had me in his office. That’s why we’re having this conversation. I think practitioners across the board whether they’re medical professionals or they’re dealing with more natural fertility understand that regulating the nervous system is going to help you significantly in this process. 35:43 CL: What a great motivator. BT: A great motivator, right. I think also if we frame it like there’ll be intense liberation whatever happens on the journey instead of like “oh my gosh, I got to process this deep emotional pain.” It’s more like there’s just a whole bunch of tools that will help you actually in life and parenting I might also say because there’s the intensity of trying to have a baby and then there’s the intensity of parenting a baby. Some of the same overwhelm happens at that time and some of the same things kick in when we start parenting. Overwhelm, stress response, sympathetic reactions. And if we know how to manage that already, that next phase is going to get easier as well. So I want to just say along with this question, here’s why mindfulness is really I think not only an effective intervention but we understand the science of mindfulness now and this is why it really works. I just was listening to a talk by Dan Goleman. He’s The New York Times bestseller of emotional intelligence from a while ago, disruptive emotions. He got together with Richard Davidson and they co-published Altered Traits: Science Reveals How Meditation Changes Your Mind, Brain, and Body. Basically what they did was they looked at the 6000 clinical studies on mindfulness that have happened over the last 20 years. There’s been a lot of research on mindfulness, you hear it everywhere. It’s not a panacea intervention for everything. But they pulled out only 60 papers out of 6,000 that actually reveal empirical research in mindfulness meditation. I’m going to talk about like 4 of those things they found out that really relate to why it’s relevant for fertility. So this is research for new meditators. Most of the people that signed up for the program, they’re not lifelong meditators. They’re new to meditation, they’re looking for stress reduction techniques that are really effective. So what meditation does out of this research that we know for certain is that it lessens amygdala reactivity to stress. The amygdala is the trigger point for the fight, flight or freeze response. So what it does empirically in the body is that it lessens the amygdala’s reactivity to stress. So we know it does that for sure if you practice it. In the research it’s 20 minutes a day. My meditations are 20 minutes for 3 weeks. If you do that daily for 3 weeks and you use your mind in that way, that’s a relatively short period of time to shift the physiology into the relaxation response. So that’s one of the reasons why it’s so effective. Mindfulness also in the research is proven to reduce anxiety and depression. The research states that mindfulness meditation does this as well as medication. That’s revolutionary for a couple of reasons. But what’s crucial for fertility is that antidepressant use, the use of SSRIs which is the most prescribed antidepressant, it’s also prescribed for antianxiety issues. We understand now that antidepressant, and this is from Alice Domar and her mind-body program at Boston IVF. I’ve studied with Alice but this is from her research. So antidepressant use during pregnancy is associated with increased risk of miscarriages, birth defects, pre-term birth, newborn behavioral syndrome, persistent pulmonary hypertension of the newborn and possible longer-term neurobehavioral effects. This is pretty new research. So we want to get off if we can and this isn’t something you do on your own. You would really discuss this with your psychiatrist or mental health professional. But in the research it’s known that trying to come off of SSRIs while we’re trying to conceive can have really beneficial effects and one of the interventions that we use to do that are these mindfulness-based interventions; mindfulness-based cognitive therapy which my program encompasses. So really using the mind to manage the symptoms of stress and depression. So this is for new meditators. So amygdala reduces the reactivity to stress and it reduces anxiety and depression as well as medication. The third one is that mindfulness increases compassion and generosity towards other but especially the self. So one of the things that’s really hard when we’re feeling hopeless and we’re feeling angry and we’re feeling stressed is to have a relationship with ourselves that’s loving. That tape like in Dianne’s case is really harsh, this is terrible, you’re doing something wrong. So mindfulness increases that compassionate response which increases relaxation. The fourth one I’m going to mention here, these ones are really relevant. It’s why this intervention works so well in such a short period of time. So just six hours of meditation, never mind the three weeks, changes the million caretaking circuits in the brain. It stimulates the part of the brain active when a parent is loving and caretaking a child. This is so essential because most of the time when we’re trying to conceive we’re in this really “I’m deprived of that” and the brain shuts down in those places. It’s the old adage like if you adopt a baby, you will get pregnant. In some African traditions, they have this tradition of hold lots of babies if you’re having troubles conceiving because that part of the brain gets stimulated. So meditation does that. Mindfulness meditation just does that on its own and I’ve seen it have incredible effects of course. So those are the kind of some empirical data for you about why mindfulness, if you will, specifically to treat fertility challenges. 41:57 CL: Those are incredible benefits. I just want to point out the six hours of meditation, that does not mean in one sitting. That means in total. I thought of this before. A lot of us want to have meditation practices and sometimes they can be quite challenging but you’re guiding a person through the meditation and it makes a huge difference. BT: I think it does. Have you tried? 42:26 CL: I have tried to have my own meditation practice where I’m clearing my mind and it can be a quite busy few minutes sitting there. But I prefer the guided meditations and I feel like they’re so beneficial. Can you tell us some other stories to help us understand the healing benefits of mindfulness for women struggling to conceive? BT: Yeah. So let’s talk about two stories. Michelle’s story is interesting. I think it helps us understand how this all works. So Lola’s story, I love, and I don’t think you and I have talked about this story so much, Charlene, in our chats about this interview. So I moved from San Francisco and I moved out to Jackson, Wyoming area with my husband and we do a little bit of skiing out there, we’re big skiers. What I find because I’ve just finished all this graduate work in the program at Collin’s office and I started to introduce myself to that very small rural community. There are no reproductive endocrinologists in that area. You have to drive to Salt Lake City, 4 to 6 hours away to see a specialist. And there are a whole bunch of women in that small community that are struggling to conceive. So I worked with a local doctor who is seeing a lot of these women and she’s so excited I’m in the area and refers Lola to me. This is not her real name, I shift the names to keep confidentiality. So Lola comes in, guns blazing. She is mad. First of all, she’s mad that the doctor would refer her to a psychotherapist. Like, what does this have to do with getting pregnant? She’s also mad because a lot of her history and this particular woman had done a lot of psychotherapy because she had a really abusive childhood. But she had done a lot of work, she was in her beautiful marriage, they had a child. This was secondary infertility. They tried for two years and they couldn’t conceive again. There was no metabolic; again, it was somewhat unexplained she conceived naturally. So what she was mad about, she was like, “I don’t want to rehash this old pain,” because that’s what psychotherapists represented to her to get pregnant. “This is ___ (fill-in-the-blank), I’m not doing it. The doctor said she really wouldn’t see me again until I spoke with you.” This was partly because she was so angry, really mad. That was the softening underneath the anger. “My whole life has been sad and tragic. I would rather be angry than I would to feel any sort of sadness again.” And she could just say that she had done a lot of work. So once I just kind of supported the defense of the anger and said “you’re right,” she’s like, “Oh man!” Then she could let the sadness out, if you will. So we did it. Sure enough, she went on a vacation with her friends and she had been doing everything right again. She had been working for a couple of years with this doc. Changed her whole diet, wasn’t drinking alcohol, no caffeine. You know the deal, keeping it real strict. So she said to me, we had a couple of sessions, she said, “I’m going to Mexico. I just booked a trip to Mexico with my girlfriends. I’m going to drink. I’m just going to just let loose.” We had acknowledged the sadness, she had the mindfulness meditations and on that trip she took a pregnancy test and she was pregnant, yeah. So that’s another story of really using the mind. She had a lot of the tools that didn’t take a lot of time. But to let go of this resistance for her was just a deep sadness. Then the body starts to relax, it starts to see the beauty that it has. That’s the clarity on the other side of the fully expressed emotion that we’re trying to avoid. And you can see clearly all of the abundance that it has, the parasympathetic nervous system kicks in and there’s relatively quick results. 51:09 CL: Wow. A great story. It seems like a lot of times when there’s anger underneath, that is sadness, right? BT: Hurt or fear usually. Hurt or fear, we say it’s the secondary emotion. BT: Yeah. One thing if we look at anger, which is interesting, because usually that’s reinforced at a young age in the family. Anger was a great way to feel more in control. But we can justify it like “how dare the doctor refer me? Say they would see me again until I saw a therapist.” We can easily justify the anger which keeps it embedded. So for her it was just understanding the thought process that kept it alive and kicking. That was really important for her to see that she was justifying the anger because it was easier to do that than feel the sadness. And the doctor wasn’t the bad guy, infertility wasn’t the bad guy. In fact, there was no bad guy. There was a very persistent feeling of sadness that she had done a whole bunch of work trying to overcome, if you will. 52:47 CL: We’ve covered so much and we’re getting towards the end of our conversation but anything that you want to leave us with, and then also I want to ask you can we continue the conversation, a part 2, if you will, because there’s a lot to kind of cover here. And maybe next time we do a mindfulness exercise or whatever you feel would be helpful. BT: I would love that. So what to leave you with? Stories of hope, if you will. I think you’ve asked this question of like what if people have come in and they’ve done all of the great work and nothing is working, that kind of place. I think the biggest takeaway from my work is that if we’ve done everything in this outer world and we have all of those bases covered, it’s really important to use the mind in that way, like what are my symptoms, what does the research say on how to manage them, who’s on my team, what specialist am I speaking with. This is all ways to use the mind to really help us. So if all of that’s happening and it’s not working, then my work in some way is to also go inward and like there’s a very empowered and embodied relationship we can have to whatever is happening in the present moment even if that’s the reality in this moment that I want to be pregnant, I’ve tried a lot of things and I’m not pregnant. My work is really about learning to experience the fear that that brings up, the intense grief that that brings up and also they experience the clarity that’s on the other side of it and the freedom. That doesn’t mean it comes and goes. But there is a way that we can awaken to our greatest fear, awaken to our deepest pain that doesn’t leave us more depleted, that leaves us more vital. And it’s that vitality. So we don’t need to necessarily be pregnant to have the vitality. It’s a little bit of a paradox. It’s like if we’re not afraid of our greatest fear, what happens with the fear? What happens with the fear, that reality that we can’t face that we don’t want to face if it’s no longer so scary to us? We’re actually getting a more fertile state which is that’s the paradox of it. But what we know is that from hundreds of hundreds of women that I’ve worked with, some of them have the baby and some of them don’t or find alternative ways to have a baby. But the liberation they’re looking for, they realize, isn’t dependent on that child. The liberation, the fertility, the vitality, all of the ways we feel incredible in both body and mind is a function of the way we’re making meaning and how we feel about any particular thing that’s happening. 57:09 CL: It’s not circumstantial. BT: It’s not circumstantial. All wise people say this: true liberation is not circumstantial. If you add that to your fertility journey, that inner liberation, incredible things start to happen. Whether that is conception after years of not trying or a doorway opens up into a new way of having a child that you couldn’t see before because of the fear or just because the mind was really wanting this, yeah, lots of different things come out of that exploration and that inner freedom. 57:57 CL: So thank you so much. So let’s continue this conversation. I know you’re going on a great adventure with your family to Brazil and I want to hear more about. Thank you so much for being on and sharing your wisdom with us. BT: Charlene, it’s such a pleasure and wonderful to speak with you. I want to just also say in the notes here, you’ll put a link to some resources for people that might be interested in the mindfulness journey or the mindfulness work. That’s another way to get more information and then we’ll continue this conversation. BT: Yeah. The journal, the meditations, yeah. 58:46 CL: And finding out more about consulting with you and your work. Absolutely. Okay, thank you so much. Have a wonderful day! BT: Such a pleasure. Take care.